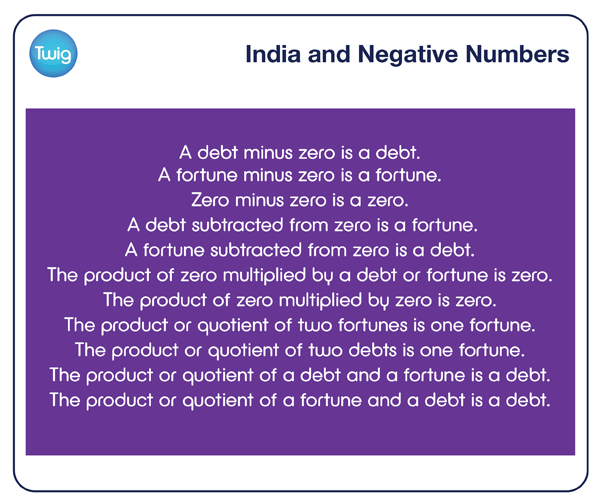 Discover when and why negative numbers were developed, and the simple rules that govern their use. Ancient inscriptions show us that the Indian scholars were developing mathematics centuries before the Western world took up the challenge. Their discoveries advanced understanding in areas such as trigonometry and astronomy. 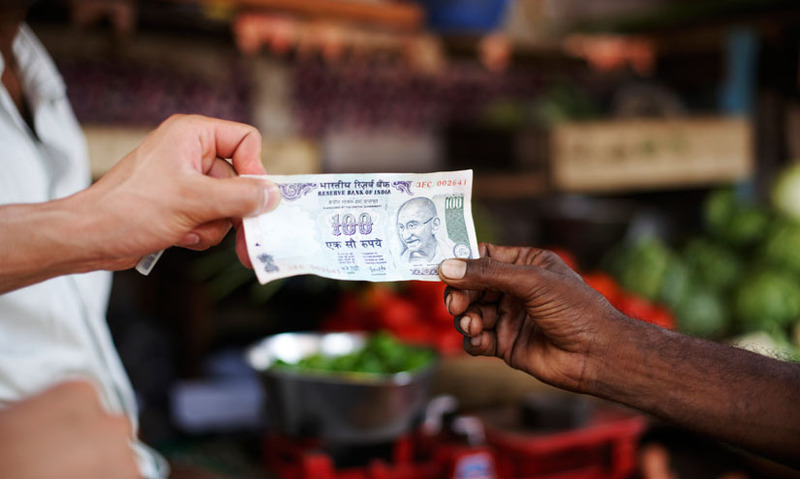 But one of the India's most positive contributions was, in fact, negative. Credited with 'discovering' zero in around 500 AD, Indian mathematicians were then presented with the problem of dealing with amounts less than zero. People of the time understood that something could be less than zero. For instance, if they did not have enough money to pay what was owed. But the idea that these amounts were numbers in their own right was a radical departure from the thought of the time. It took a great Indian mathematician, Brahmagupta, to define these figures and how to work with them. Brahmagupta realised that negative numbers are an abstract concept. Anything less than nothing cannot physically exist. But he also rationalised that negative numbers could be dealt with theoretically, using rules similar to those applied to positive numbers. Brahmagupta referred to these two different types of numbers in the trade language that was used at the time. He used the notion of 'fortunes', to represent positives. In eleven such simple statements, Brahmagupta had set out the first rules for working with positive and negative numbers. Brahmagupta's rules allowed progress towards finding solutions for complex quadratic and simultaneous equations. And ancient India continued to develop as a hotbed of mathematical ideas. It took another eight centuries for Europeans to grasp negative numbers. But Brahmagupta's rules for their use are still taught worldwide today.